The new rule will take effect on January 1st, 2017, and will require employers to electronically submit injury and illness data that they already have to record. This update is meant to improve the safety for workers across the country. Requiring this data to be submitted online and made public will hopefully motivate more employers to focus on safety, not wanting any sloppy safety protocols to be known to OSHA and subject to fines. More attention to safety will save more lives and prevent serious injuries and will improve an employer’s bottom line. The new rule will also help improve the accuracy of data by prohibiting employers from discouraging workers from reporting an injury or illness. Employers must inform employees of their right to report injuries and illnesses without any risk of retaliation. OSHA will provide a secure website for employers to enter the data that offers three options. Employers can manually enter the data, upload a CSV file, or transmit data electronically through an API for those who have an automated recordkeeping system. For more information about this update, read OSHA’s Fact Sheet. Effective on January 17, 2017, OSHA’s other recent update will affect walking-working surface standards that are specific to slipping, tripping, and fall hazards. The new rule will also include a section on personal protection equipment standards that will establish employer requirements for using personal protection systems. It is already a requirement under the Occupational Safety and Health Act of 1970 that employers provide a safe workplace for employees. This update will allow employers to make their workplace even safer. The final rule will improve workplace safety and protection against common fall hazards that claim the lives of workers every year. The update from OSHA is meant to reduce the number of worker deaths and injuries from falls with advanced technology and greater personal flexibility with protection devices. It is estimated that the update will help prevent 29 deaths and nearly 6,000 injuries every year. As part of this update, employers will also be allowed to choose the fall protection system that works best for them and will have several options to choose from. Employers will be able to choose rope descent systems of up to 300 feet above a lower level, eliminating the need for body belts as part of the personal fall arrest system. 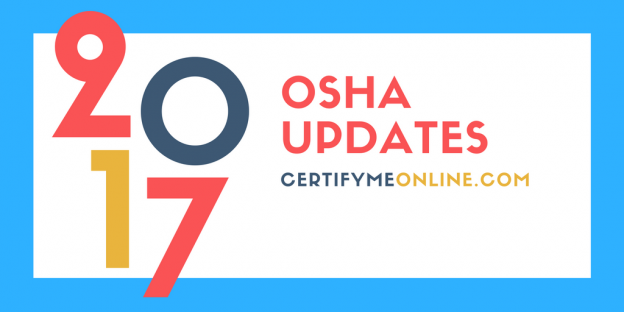 Check out OSHA’s official news release on the update here. With new updates being released and regulations constantly evolving, it is important for all general industry workers and employers to remain up-to-date on OSHA standards. Not complying with OSHA regulations can lead to costly fines for employers, and, most importantly, unsafe workplaces with out-of-date practices.